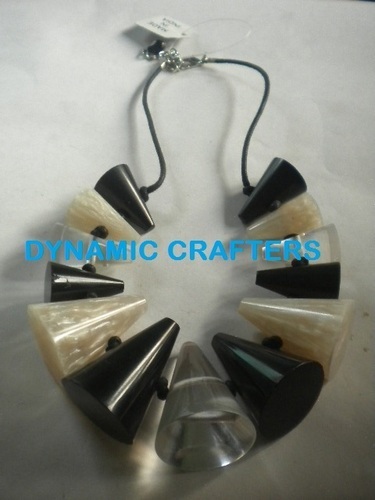 We "Dynamic Crafters" are Leading Indian Manufacturer, Suppliers and Exporters of Fashion Jewelry, Handicrafts, Gifts, Tablewareand Kitchenware, Corporate Gifts, Christmas and Halloween Gifts and Decorative Items. We locate in Sambhal Near Moradabad Uttar Pradesh (India) ,Backed by huge Industrial experience We are Manufacturing, Supplying and Exporting Quality Products. We Specialized in Horn, Bone, Wood, Brass, Iron, Resin, Mop, Coconut Shell Stone and Others Metal’s items. The Huge range of our Product line, Good Quality, Competitive Price and Quick Delivery Process made us have one of the Fastest Growing Company of its Kind. We Produce wide Verity of Bangle,Earring, Necklace,Cuff, Finger Rings, Bracelet, Clutches and Purses,Incense Stick,Burner and Holder,Flower Vase,Jewellery Holder,Picture Frame, Wall Mirror,Jewellery Boxes,Pen Holder,Mobile Holder,Desktop Organizer, Paper Weight,Eye Glass Stand,Magnifying Glasses,Cutlery, Napkin Holder,Coasters,Tray and Platters, Dry Fruit Box,Salad Bowl, Yarn Bowl,Rolling Pin,Wine Holders and Mug,Soap Dispenser and Holder,Smoking Accessories,Key Holder and Rings, Door Knobsand Handles, Curtain Finials, Door Stoppers, Tables, Christmas And Halloween Decorative and Gifts Items. We are a Partnership firm that is Managed Under the Supervision of Our Mentor "Haji Laiq Ahmad". Who have 40 Years of Experience in the field of handicrafts. Our Director "Mr. M. Waseem Akhtar" have Post Graduate Degree in Marketing and International Trade, And He has Good Industrial Experience in Marketing and Customer Relationship Managements . Mr. M Faisal and Mr. Faizan Akhtar Leading and Playing Very Important Role in Our Success.